For folks living in Milwaukee and hosting a visitor, not only will you need to put your town into perspective (is it a big little city or a little big city? ), but you'll have to get them up to speed on local customs. Perhaps there’s a distant cousin who’s finally taking in the State Fair or Summerfest or there're some debaucherous buddies in town to catch a Brewers game. Whatever the case, here's your syllabus for the unenlightened. Finding yourself at the local watering hole is perfectly acceptable, no matter the day or the time. Even though most gas stations and convenience stores stop selling alcohol at 9pm (terrible), plenty of bars are still open at 6am (wonderful). Milwaukee has more bars than grocery stores in the metro area by a very wide margin because... priorities. 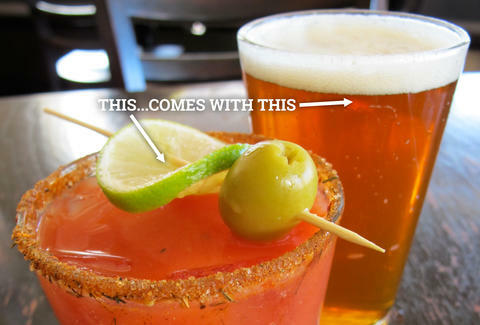 Order a Bloody, get a 3-4oz chaser (or sometimes a 7oz shorty if you’ve behaved) to wash it down. Some of these concoctions can be meals in themselves, like Sobelmans' beastly Bloody or the brute insanity that is The Loaded Slate’s Ultimate Bloody Mary. Like Yahtzee but but better (drinking! ), the relatively easy game will have you slamming and/or buying shots at the bar depending on the outcome. Bar dice is pretty fun when you’re playing, loud and annoying when you’re not. “Horse a piece” will become part of your vernacular. Each bar can have its own version of the rules, so it’s best to have the bartender do a couple dry runs first. It’s not ice cream, and it’s not gelato -- it’s custard, the wonderful dense frozen dessert made with the addition of eggs. 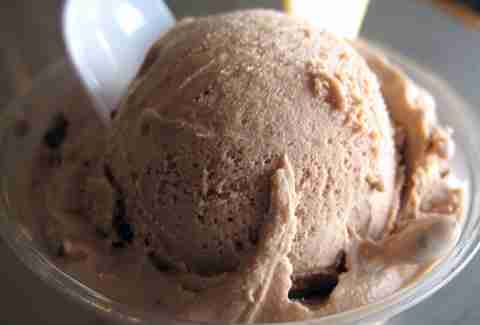 And whether you get it at Kopp’s (the popular favorite), Oscar’s, Leon’s (cash only! ), or Gilles, you’ll be able to check another item off the bucket list that you didn’t even know you had. Let’s get fat together! 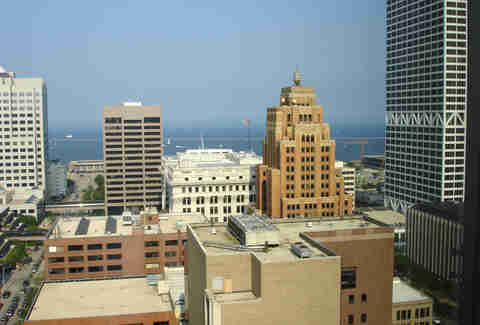 There’re approximately 100 parking spots for 500,000+ people in Milwaukee. Even “calling in” your plates to avoid getting an overnight parking ticket sometimes doesn’t work (no parking on city streets between 2-6am here -- an easy way for the city to pocket $20!). Parking enforcement in the Mil is borderline absurd, and it does its job very, very well. There never seems to be enough parking Downtown, where you’ll find lost companions driving aimlessly, eyes glazed over looking for that ONE car that's crazy enough to be giving up its spot. Don’t even bother. Milwaukee traffic generally isn’t terrible, but Water St should be avoided. I-94 can be put in that same category with the recent God-awful construction of the Zoo Interchange. 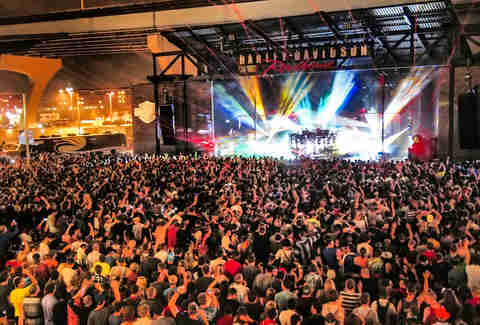 Summerfest is the world’s largest music festival (yes, the WHOLE world). But if you grow weary of being pushed around by an endless sea of tipsy teenagers, you can turn to German Fest, Irish Fest, PolishFest, etc. The ethnic festivals that are sprinkled throughout the summer really put our diverse city under the region's microscope, and they're usually less crowded and more fun than Summerfest. Sometimes we say words strangely, we guess? Some of us use the word "bubbler" to describe a water fountain, or soda for pop, or vice versa. A “tyme” (take your money everywhere) machine = ATM (automated teller machine). Stop 'n go lights = stoplights. You get the picture. We’ll ask you to pronounce some of our places named by Native Americans. Milwaukee is one of them. Some others include: Mukwonago, Oconomowoc, Wauwatosa, Muskego, and Waukesha. Bay View’s most traveled road is Kinnickinnic Ave. We promise you’ll learn to love these names and the history that comes with them. We see so many out-of-towners party too hard on the MP asphalt in West Milwaukee. Admittedly it’s easy to get wrapped up in beer bongs, shotgunning tallboys, and other childish drinking feats. You don’t want to be that guy that’s left sleeping it off in the car. You need to be as alert as possible to rip on the Cubs. 11. There’s iconic architecture and stuff! We think the Milwaukee Art Museum is cool-looking, because it is. The US Bank is the tallest building here, and sometimes we run up all the stairs for a good cause. The Allen-Bradley Clock Tower in Walker’s Point is the largest four-faced clock in the world and is bright at night. Milwaukee City Hall will be forever be under construction. The BMO Harris Bradley Center is outdated and hopefully moving somewhere nearby soon. And the Pfister Hotel is most definitely haunted. 12. Please don’t call us "cheeseheads"
Although we’ll tell you about our five favorite Wisconsin cheddar producers if there’s any inclination the conversation is headed there, we shudder when we see one of those bulbous cheesehead fans on TV. Of course the cameraman will always find one, even if it’s not during a football game, because those foam headgear triangles will never disappear. As long as we’re eating, nobody cares. We’re still behind Chicago and Minneapolis, but our local groups are steadily making a name for themselves. 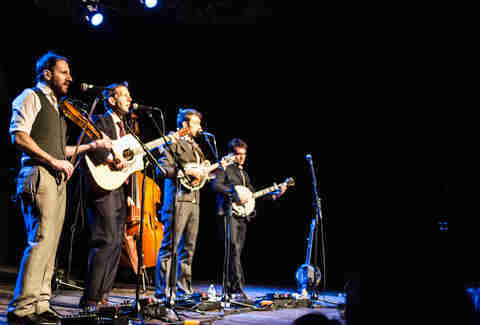 National acts usually will make a tour stop at the the legendary Pabst Theater, Riverside Theater, or Turner Hall Ballroom. Milwaukee upstarts typically find their beginnings at venues in Bay View, Riverwest, and the East Side. These shows are always awesome. No really, we do. Wearable brands such as Wiskullsin and Milwaukee Home solidify our city pride. With some luck, you might get a glimpse of the Milverine, a man who brings shirtless justice to the mean streets of Milwaukee. Perhaps you’ll wander across attorney David Gruber, whose “One Call, That’s All” commercials won’t leave your brain. See “Freeway” dancing at a Bucks game. Drive past the guy who blasts random propaganda through a megaphone atop his car that’s plastered in endless rantings. These mini-celebs make Milwaukee, and we love them. Everybody knows everybody in this town. Like Cheers, minus Kirstie Alley. 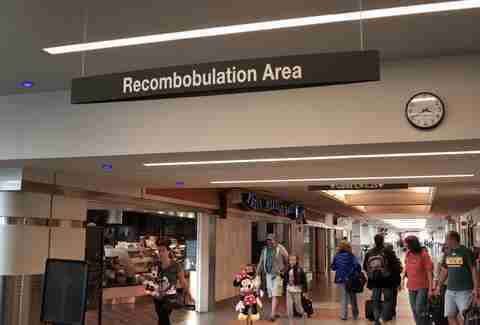 This is the place where you gather your belongings after going through security screenings at Mitchell International Airport in order to... recombobulate? The buses operated by the Milwaukee County Transit System are generally dependable and quite easy to use. They're also a heck of a lot cheaper than cabs in the city, which tend to be very pricey. There’re plenty of nationally renowned spots at which to dine. Here’re just a few of the essentials. The regional fish fry is crucial to Milwaukeeans’ existence, and even more so during Lent. So many great places offer Friday (and sometimes Wednesday) fish fries that they're a required stop while visiting here. The St. Paul Fish Company at the Public Market is legendary.